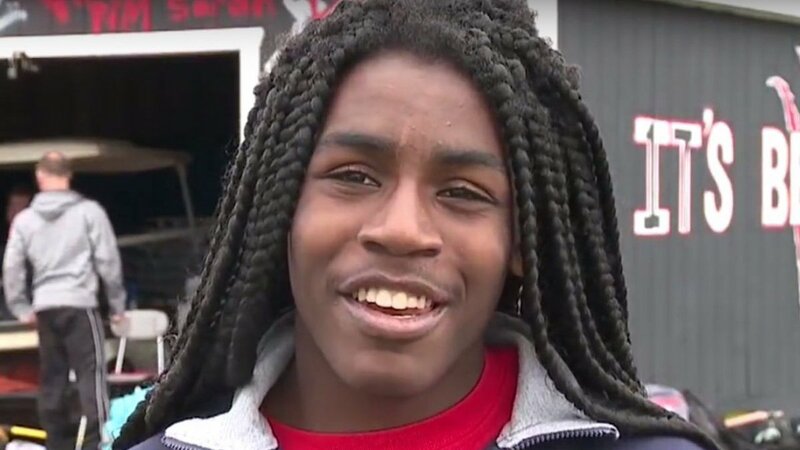 The gender war raged on during a high school girls track championship, and you won’t believe the end result. When high school teen girls lined up to run, two additional athletes were allowed to compete right beside them, even though they weren’t female. But the reason these two male teens were allowed to compete will infuriate you. As it turns out, these male teens suddenly decided they no longer wanted to identify as being a male and instead “identified” as being female. And as a result, both of the teen males ended up winning first and second place in the competition and beating out all the girls. As these “transgender” males crossed the finish line, they shattered the hopes and dreams of all the young high school girls, who trained hard all year, hoping to score 1st place. Even worse, the two girls who should have made it got knocked out because the teen boys took the top two spots. One would think officials and coaches would prohibit such ridiculousness from taking place. In fact, the rules actually give cover to the LGBT crowd and threaten to punish those who disagree. It’s a sad day when the LGBT agenda has infiltrated its way into high-school sports and corrupted the simple activity of competing in a track meet. Athletes train hard to compete, and it’s a proven fact boys are biologically different than women, and typically have significant physical advantages. Biological males should not be eligible to compete in an all-girls track meet. Even worse, officials should have sounded the alarm, but it added further insult to injury and demoralized the girls, by letting this event take place. The fact “transgenders” can get away with doing whatever they want, sends a dangerous message to high school students. What’s to stop other boys from doing the same thing? This move has set the stage for LGBT activists to force their way into every area of life. In addition, this stunt points to an even greater danger – LGBT activists won’t stop until their lifestyle is forced upon everyone. A young girl who dreams to run and compete doesn’t stand a chance to succeed if the LGBT activists get their way. And now, not only do girls have to worry about competing against their peers, they are subjected to being forced to run with males. Some had suggested a compromise, such as putting a star or an asterisk next to the biological males names, to give the girls a fighting shot. Still absurd, but even this compromise isn’t enough for the LGBT crowd. In fact, a left-wing professor who is a stealth advocate for LGBT students claims the “transgender” students should be treated like girls, and if not it would be massive discrimination. “A transgender girl is a girl and ought to be treated like a girl,” Buzuvis said. A boy deciding, he wants to be a girl is not a core aspect of his identity. He is mentally-ill and confused, and he needs help. The last thing he needs is the covering and support from coaches who encourage his participation in female-only sports. In typical liberal fashion, LGBT activists expect the world to adapt to their standards and way of life. And if anyone doesn’t jump on the “transgender” bandwagon, then suddenly they are disrespectful. And the hypocrisy of the left is truly mind-blowing. Liberals claim to be “pro-woman”, but they are okay with two males deciding to compete in an all-girls track competition, and crush their opponents. They only support furthering their twisted agenda, and anyone who dares stand in their way is seen as a casualty. Do you think boys should be able to compete in girls’ sports as a “transgender”? Why do you think coaches and officials allow “transgenders” to cross over into gender-specific sports?